how to prevent stones from forming. Funded by the National Institutes of Health (NIH) and the National Institute of Diabetes and Digestive and Kidney Diseases (NIDDK), the network comprises a wide range of experts including adult and pediatric urologists, adult and pediatric nephrologists (kidney specialists), pediatricians, emergency department physicians, clinical trialists, nutritionists, behavioral scientists, and radiologists. The coordinating center and clinical sites work together in planning, executing, and analyzing the results from USDRN studies. DURHAM, N.C. (March 1, 2019)—Research shows that prevalence of urinary stone disease doubled in men and quadrupled in women between 1984 and 2012 (Kittanamongkolchai et al., 2018). 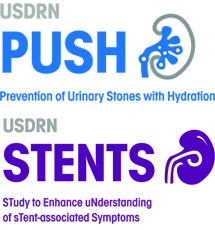 As experts scramble for answers on how to quell this unwelcome spike, researchers with the Urinary Stone Disease Research Network are currently conducting two trials to learn more about who develops kidney stones, what the best treatments are, and how to prevent stones from forming. 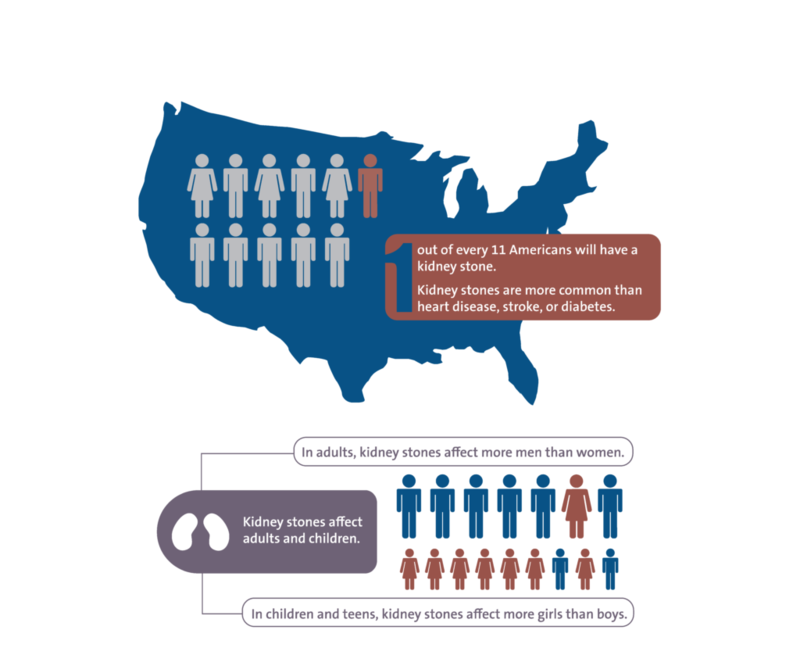 Since 1994, the number of people who get kidney stones has almost doubled! The number has risen from 1 out of every 20 people, to now 1 out of every 11 people. This increase is likely due to diet and lifestyle factors. Obesity also increases the risk of having a kidney stone. Kidney stones are more common in men than women, while less common in people who are Hispanic and African-American.